PATENT certainty matters. Consistency across judgments matters. Predictability matters. If all those software patents perish in courts, will their holders bother asserting anymore (i.e. suing)? The patent litigation numbers are already down and they go down every year. Ever since Alice we are seeing an encouraging pattern; the US Supreme Court objects to revisiting the matter and the Court of Appeals for the Federal Circuit (CAFC) gets more hostile towards software patents each year. This shapes so-called ‘caselaw’ in a favourable fashion because software patents are ebbing away. Most of the articles and tweets we find are rants about Alice and/or promotion of software patents, courtesy of people who never developed any software in their entire lifetime. It’s almost amusing to watch their agony; they try to attribute this loss to “software”, but in reality people who actually develop software are pleased to see the demise of software patents. Challenges to patent eligibility under 35 U.S.C. § 101 have become so routine in patent litigation that it is easy to overlook the opinions that seem to issue almost daily from the district courts and, less frequently, from the Federal Circuit. If one were to judge solely by the tenor of recent cert petitions filed with the Supreme Court, however, one would likely conclude that the lower courts are still fundamentally confused as to how to properly apply the Supreme Court’s two-step analysis for ineligible “abstract ideas” set forth in Alice Corp. Pty. Ltd. v. CLS Bank Int’l, 134 S. Ct. 2347 (2014). For example, an amicus brief in support of a cert petition in Recognicorp, LLC v. Nintendo, No. 17-645 (denied, Jan. 8, 2018) argues that, at least in the context of data processing patents, “[t]he lower courts and the PTO have misunderstood the Mayo-Alice test and have created indeterminate and overly restrictive patent eligibility doctrine under Section 101.” Other recent petitions in which cert was denied have taken the lower courts to task for either improperly looking beyond the claims to assess patent eligibility or, to the other extreme, looking only at the claims. This is not to mention the argument that eligibility is not a cognizable defense at all in patent litigation, an issue also denied certiorari by the Supreme Court last year. That last sentence is correct. The US Supreme Court isn’t interested in throwing a lifeline to patent lawyers. The Justices at the US Supreme Court, at least as far as patents are concerned, have been doing the right thing. That cannot be said about all sorts of other domains (copyright law for example), but recently we have been feeling like we have an ‘ally’ in the highest US court. The Justices often rule unanimously against the maximalists. They overturn CAFC almost every time. So another one bites the dust, as usual. We aren’t even skipping any of the decisions that are inconvenient to us! Alice and Mayo are having the intended effect. Sports brand Nike is being sued for patent infringement over an app that tracks users’ fitness. US-based Personal Beasties Group (PDG) alleged that Nike infringes on US patent number 6,769,915, in a case filed at the US District Court for the Southern District of New York on Saturday, January 20. The patent, known as the “Interactive system for personal life patterns”, covers an app developed by PDG that helps track the fitness goals and achievements of the user. Just use 35 U.S.C. § 101. That might eliminate this patent altogether. Without looking at the pertinent details, it sounds like a software-only surveillance patent. Many such patents have already been invalidated; we can recall some. In a recent decision from the U.S. District Court Northern District of California, involving Free Stream Media Corp. v. Alphonso Inc., claims of a television system patent survived a motion to dismiss under 35 U.S.C. § 101. Samba relied heavily on Enfish, LLC v. Microsoft Corp., 822 F.3d 1327 (Fed. Cir. 2016), which supports the notion that a dividing line can be drawn between patents which merely describe using a computer and/or the internet to carry out pre-existing and well-known tasks and techniques, and those that relate to the functioning of computers themselves (e.g., specific asserted improvement in computer capabilities). The former will virtually always fail under Alice unless some “inventive concept” can be found in the second step of the analysis; the latter are substantially less easily characterized as merely abstract ideas. The court denied defendant’s motion to dismiss on the ground that plaintiff’s night vision patents encompassed unpatentable subject matter because the asserted claims were not directed toward an abstract idea. Patent claims directed to “buying and selling an item relating to unique subjects” were held patent-ineligible under the Alice abstract idea test and 35 USC § 101 in VOIT Technologies, LLC v. Del-Ton, Inc., No. 5:17-CV-259-BO, (E.D. N.C. Jan. 10, 2018). The court therefore granted a motion to dismiss under FRCP 12(b)(6). Among the interesting aspects of this case are that U.S. Patent No. 6,226,412 includes a 330 word independent claim, and that claim includes a lot of technical terminology relating to storing and processing text and image data. Neither of these things saved the claim from Alice. The ’412 patent is directed to “secure interactive communication of text and image information between a central server computer and one or more client computers located at remote sites for the purpose of storing and retrieving files describing unique products, services or individuals.” Claim 1, reproduced at the bottom of this post, recites numerous steps for achieving this secure interactive communication relating to unique products. No matter how hard they try to defend software patents (or abstract patents), they almost always fail. Why would they even assure clients that such patents are worth pursuing in the first place? Or such lawsuits? Perhaps the single most useful resource summarizing the law of patent-eligibility under the Alice abstract idea test is this chart of Federal Circuit cases under 35 U.S.C. § 101, found on the USPTO’s very helpful web page providing guidance on analyzing claims for patent-eligible subject matter. This blog has previously covered the USPTO’s guidance on patent-eligibility; I am discussing it again to note that the afore-mentioned chart of patent-eligibility case was updated on January 4. If you are responding to – and especially if you are appealing – a rejection under the Alice abstract idea test, this chart is the place to start. 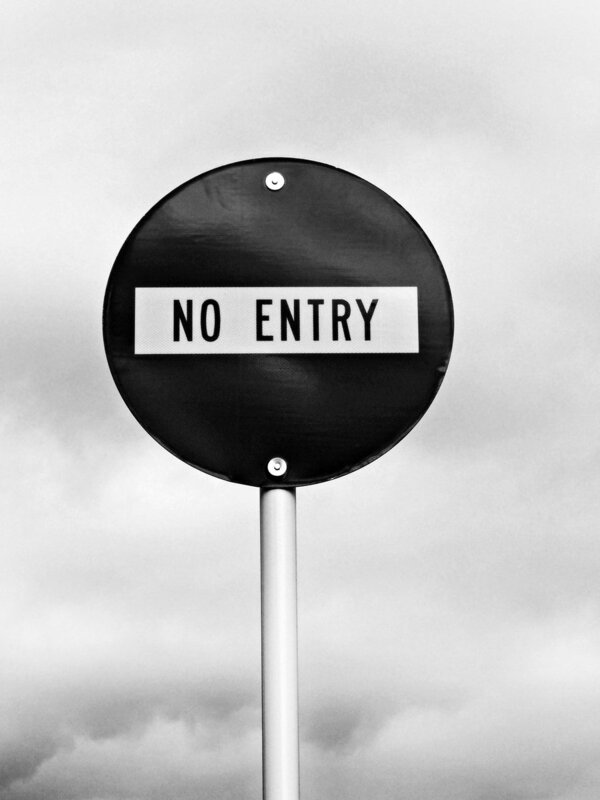 A recent post on the PatentlyO blog, quoting a PTAB decision to the effect that the USPTO is not required to provide facts supporting patent-eligibility rejections, further drives home the reality. As the Federal Circuit has explained in many cases (see, e.g. OIP Techs., Inc. v. Amazon.com, a 2015 case holding claims directed to price optimization patent-ineligible), patent-eligibility is a question of law. In practice, this means that it is like interpreting or construing claims – every adjudicator, from patent examiners up to the US Supreme Court, gets to look at it anew. Every adjudicator can apply his or her own gloss, a nightmare for patent applicants, patent owners, and potential infringers alike. Watch how they resort to PTAB-bashing — a subject we shall cover later in the weekend. PTAB too is enforcing § 101, so even patent holders that sue nobody may see their already-granted patents invalidated. Is the following good news? “PTAB Reversed Examiner on 101 Rejection of SAP Claims for Modeling Service Endpoints of Process Based on BPMN,” wrote a patent maximalist. So basically, this is not a granted patent, there is no lawsuit, and PTAB basically said OK to one single patent (for now, it can be squashed even in the lowest of patent courts later on). In other words, PTAB very often rejects patents that examiners decided to accept. In a sense, anyone can sense the frustration there. They really struggle to find any “good news” (for them). Here comes § 103 to invalidate a Microsoft patent (well, application that nearly got granted). “PTAB Reversed Examiner on 101/Alice Rejection of Microsoft Patent Application but Affirmed Examiner on 103 Rejection,” he wrote. Then came more PTAB bashing from a person connected to the above patent troll (Dominion Harbor). “Patent practitioners BEWARE,” he shouted, then taking note of someone who lost a rehearing at PTAB (on § 101). Here’s another rant (with ALL CAPS) about § 101 invalidations (“crazy rejections under §101 continue,” he later added). Here’s another ALL CAPS and a rant about PTAB invalidation. He said that “the definition of the “abstract” idea takes up almost a whole paragraph” as if the length of that somehow voids the decision. The above are just some among many tweets that highlight the tough time trolls and law firms are having (they’re connected to each other). § 101 in particular drives them crazy. Then there’s also § 102, which was mentioned in another context 5 days ago.